John Board is an Associate Professor of ECE and of Computer Science. He also serves as Associate Chief Information Officer for Duke University. He received his D.Phil in 1986 from Oxford University. 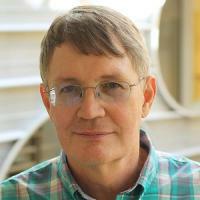 His research interests include: High performance scientific computing and simulation, novel computer architectures, cluster computing and parallel processing; ubiquitous computing. High performance scientific computing and simulation, novel computer architectures, cluster computing and parallel processing; ubiquitous computing. Li, X; Chang, X; Board, JA; Trivedi, KS, A novel approach for software vulnerability classification, Proceedings of the Annual Reliability and Maintainability Symposium (2017) [10.1109/RAM.2017.7889792] [abs]. Brown, A; Ybarra, G; Massoud, H; Board, J; Holmes, J; Coonley, K; Collins, L; Huettel, L; Gustafson, M; Cummer, S, Redesign of the core curriculum at Duke University, Asee Annual Conference and Exposition, Conference Proceedings (2006) [abs].